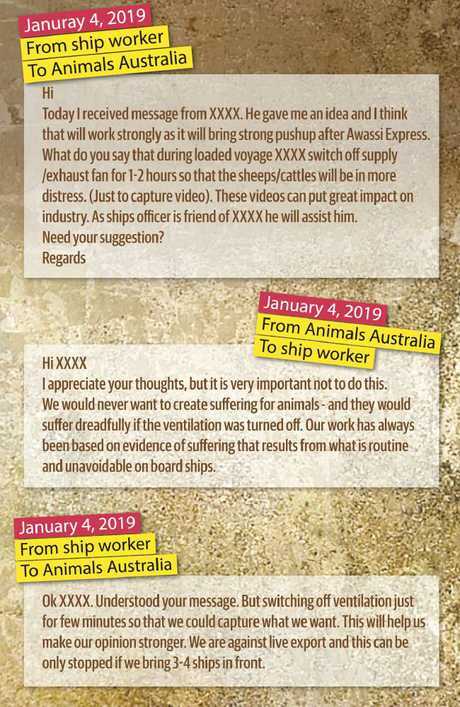 EXCLUSIVE: Animal activists sent emails to live export workers appealing for them to leak footage of cruelty on ships with promises of lucrative payments which would be the equivalent of three months' wages. So-called whistleblowers even ­offered to cut off ventilation and switch off the exhaust fan to distress sheep on voyages in order to receive the payments that were on offer from activist organisation, Animals Australia, ­according to emails obtained by The Daily Telegraph. The activist organisation strongly discouraged them from doing so. 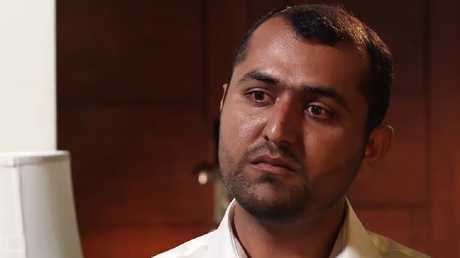 Whistleblower Faisal Ullah on the 60 Minutes video. There are now allegations from other ship workers that their colleagues are being motivated to be cruel to ­animals in order to create footage they can sell to activists. 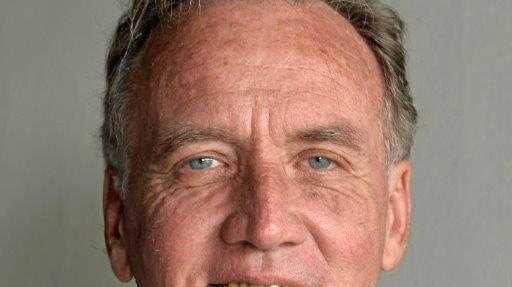 ● Animals Australia sent emails to ship workers discussing payments of up to $1000 for help ­obtaining footage. Email exchange with an unnamed ship worker. A former deck cadet, Mr Ullah was named by animal rights organisation PETA as their "person of the year" for leaking footage from the live export ship Awassi Express to Animals Australia. 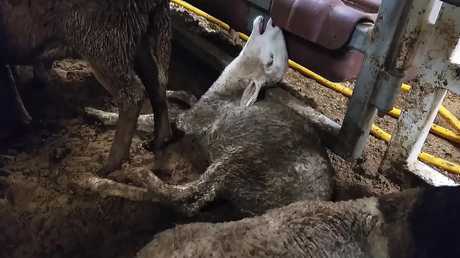 The footage and an interview with Mr Ullah were the basis of a 60 Minutes report on April 8 last year that showed shocking scenes aboard the ship as sheep suffered and died from apparent heat stress in cramped conditions during multiple voyages to the Middle East. Animals Australia has previously stated it had not paid for the footage aired by 60 minutes, but did not deny it when presented with details on the transactions by The Daily Telegraph. Agriculture Minister David Littleproud launched an investigation into the Emanuel Exports-owned ship and suspended its licence. The Agriculture Department found that 2400 sheep died from heat stress during a shipment of 64,000 animals from Fremantle to the Middle East in August 2017. Animals Australia have been using the footage and other images and videos it has obtained from ships to lobby for a ban on the live export industry. Bank statements obtained by The Daily Telegraph show Mr Ullah received more than $38,000 in payments ­between June 2017 and June 2018 from Australian bank accounts. The statements show Mr Ullah received about $30,000 from Australian bank acc­ounts into an account with the Sydney branch of the India-based Bank of Baroda during that same period. The largest single payment was a $7500 transfer from an ANZ bank ­account in January, 2018. Mr Ullah's salary on the Awassi ­Express for his role as deck cadet had been just $US350 per month. Animals Australia has previously denied making any payments. The organisation yesterday did not answer questions from The Daily Telegraph. 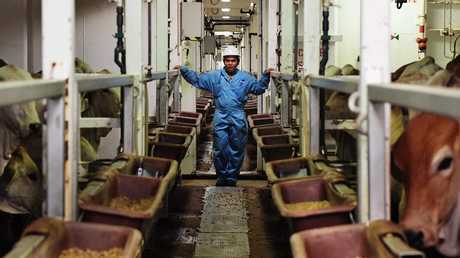 The Daily Telegraph does not suggest ­Animals Australia facilitated the payments to Mr Ullah. Mr Ullah stopped working on the vessel on February 2, 2018 and Pakistani shipping records show he has not signed on to another vessel since. He did not respond to calls from The Daily Telegraph. One of Mr Ullah's former crew mates told The Daily Telegraph Mr Ullah had approached him to film footage on the Awassi Express to sell to animal activists in 2016. In a statutory declaration provided to The Daily Telegraph, the man said Mr Ullah asked him to work with him to make money by filming videos for Australian animal rights activists. The man said Mr Ullah gave him a phone and 50,000 Pakistani rupees (about $500) in advance to make videos on the ship. In a Facebook message Mr Ullah sent to the man on July 30, 2016 he discusses the payments they could get for the footage. "Well if we can accomplish this task then we will get $20,000," Mr Ullah wrote in the post, according to the statutory declaration. "This is conditional that those ­people will use those videos." 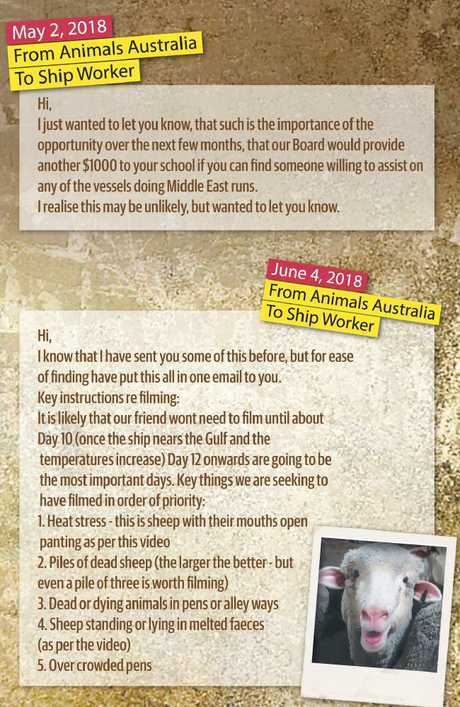 In emails sent to a different ship worker on May 2018, a senior Animals Australia employee said they would provide "another $1000" donation to a school the man was starting if they could find someone willing to assist "on any of the vessels doing Middle East runs". On June 4, 2018 the employee sent a follow up email with "key instructions" for filming. "Key things we are seeking to have filmed in order of priority: 1. Heat stress - this is sheep with their mouths open panting as per this video. 2. Piles of dead sheep the larger the better - but even a pile of three is worth filming," she wrote. On January 4, the same worker sent an email to the same employee asking whether another worker should switch off the exhaust which ensures the sheep have oxygen to create footage where "the sheeps (sic)/cattle) will be in more distress. (Just to capture videos)". The Animals Australia employee warned him that "under no circumstance must he do this". "This would equate to deceitful and fraudulent behaviour," the Animals Australia employee wrote. In a response to questions from The Daily Telegraph the Animals Australia ­employee said: "Indisputable evidence of animal abuse obtained by whistleblower, Mr Fazal Ullah, was corroborated by other workers from the Awassi Express who were similarly concerned about the suffering of animals on the vessel. "The overwhelming evidence of suffering across five voyages, confirmed in End of Voyage Vet ­Reports, was accepted by industry associations and Government ­regulators. "Mr Ullah was a brave whistleblower who came forward because of his genuine concerns about the ­suffering of animals in this disgraceful trade". The live export whistleblower lauded as a hero after he leaked video showing sheep in horrific conditions has previously been accused of abusing animals himself. According to a performance appraisal conducted by the Awassi Express chief officer in 2015, Fazal Ullah was "not friendly" towards livestock while on voyage from Australia to Malaysia. Mr Ullah in his interview with 60 Minutes. "It was observed in general his attitude towards livestocks was not friendly during a voyage from Darwin, Australia to Port Kalang, Malaysia, he was noticed beating cattle with a stick by a (sic) Australian stockman," the review, obtained by The Daily Telegraph, says. "This incident was reported and verbal warning given. He was kept under close monitoring. "On several occasions during the period of the report, Fazal Ullah was found missing from his workplace during the hours of feeding and watering of cargo. "His attitude was not friendly towards livestock as one time he was found hitting the cattle …"
A crackdown on woeful live exporters is set to be delayed until after the federal election as the Coalition tries to avoid a public battle over banning the live sheep trade. 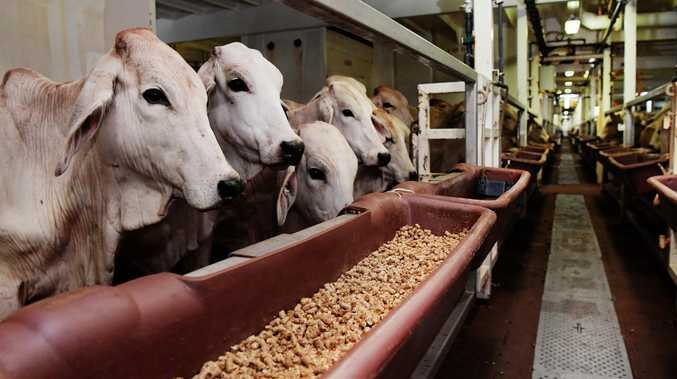 Labor is increasingly confident of securing support to amend the Morrison government's live export penalties scheme to outlaw the summer trade if it comes to a vote in parliament with support of crossbenchers, including Kerryn Phelps and Liberal defector Julia Banks. Crossbench MP Rebekha Sharkie threw a warning shot at the government in the final sitting week of last year when she attempted to force the issue and revealed five of seven crossbenchers would support the move. If it failed to win the move for a ban Labor has said it would agree to support the government legislation as it is. But the government is unlikely to take the risk as it would threaten to reopen an internal spat after some Liberal MPs have flagged their support for a ban. It comes despite the live export industry announcing its own three-month ban on the sheep trade to the Middle East during the northern summer in December. 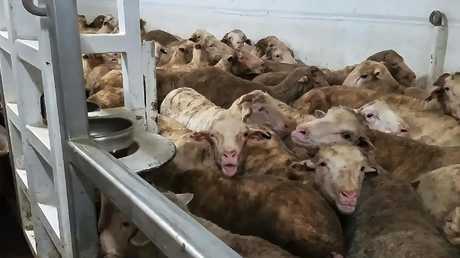 The release of the horrifying 60 Minutes footage, which showed sheep dying while en route to the Middle East, prompted Agriculture Minister David Littleproud to announce a series of new measures to prevent a repeat without damaging the $233 million a year industry at the same time. But he has ruled out a ban on live exports. The scheme, which has stalled in parliament, includes a push for jail for people who engage in animal abuse.